In light of this year’s upcoming International Women’s Day on March 8th, our staff at Global Washington would like to call attention to the work that is currently being done by local nonprofits to better the lives of women around the world. We are a membership association of organizations around Washington State that work in international development. Every year we celebrate International Women’s Day as an opportunity to highlight the struggles that women must face worldwide and the victories that have been won in the fight for gender equality. While many of our member organizations strive to improve the lives of women, this year we are particularly impressed by the work of the Mangrove Action Project (MAP), who has been able to apply its environmental cause to assist women in rural Thailand. Co-founded in 1992 by Executive Director Alfredo Quarto, Ian Baird and Pisit Charnsnoh, MAP began as a whistle-blowing organization dedicated to educating people about the dangers of shrimp aquaculture, which is responsible for the destruction of thousands of hectares of mangrove forests around the world. The mangroves – uniquely adapted trees that grow in saline areas along the coast – are vital coastal forest ecosystems that act as wind and flood barriers, soil stabilizers, pollutant absorbers, and are home to 75% of all tropical commercial fish. Hoping to reverse their degradation, MAP seeks to educate people about mangrove ecology and serve “as a sort of megaphone” for indigenous peoples whose lives depend entirely upon the wellbeing of their coastal mangroves. After more than a decade of working with fishing communities overseas, in 2009 MAP reached out to women on Phra Thong Island, Thailand to start a new kind of project. Teaming up with displaced families who had survived the 2004 Indian Ocean tsunami, MAP trained the women in tie-dyeing fabrics using dyes made from mangrove bark and the leaves of native plants. They also showed them how to plant additional seedlings, so that these materials will remain in good supply indefinitely and will not destabilize the local ecosystem. These women have since gone on to form the collective “Muhd Yom Koh Phra Thong” – meaning “Tie-dye Phra Thong Island” in Thai – which provides them with supplementary income that gives them financial independence and helps them support their families. It also gives them a greater sense of autonomy, as they are now using the collective to create new designs and practical products based on local knowledge and culture. Anyone wishing to learn more about their work firsthand can visit the community through Koh Phra Thong Lion Homestay – a new tourism program organized by the collective - which allows outsiders to support their cultural and conservation efforts while enjoying the natural beauty of the island. To make donations to this group or read more about them, please see their website: womens-tie-dye-group. Those of us here at Global Washington are grateful to MAP for its ongoing conservation work overseas and its commitment to helping empower women. Over the past several years, MAP has continually taken tangible steps to help create positive changes in the lives of women that allow them to claim greater independence within their families and communities. Their work is an excellent example for us all. The president of the Tourism Commission of the Chamber of Deputies, Rodolfo Dorador announced that the modification of Article 60 in Law TER General Wildlife (LGVS), which protects mangroves in Mexico, at the request of employers, who argue that along with the Mexican Official Standard 059 which reclassified the mangrove category, inhibit the development of tourism and investment. "Let's just get to 60 TER squarely to stop being an impediment and entrepreneurs can build in the mangroves," he said in the context of the meeting between representatives of the country's leading business organizations and members of the committees of Tourism of the House of Representatives and Senators, local legislators and members of the Legislative Council of Tourism (Conletur). During the first day of formal activities XI National Tourism Forum, held in Cancun, the president of the Mexican Resort Development Association (AMDETUR) Romárico Arroyo Marroquin, was referred to the time when the legal framework allowed removing mangroves, offsetting the extent to reforest mangroves elsewhere (via mitigation). Article 60 TER, which passed in February 2007, restricted development and use in wetland areas, namely, mangrove. This proposed amendment will alter this article. "This is a single paragraph, probably the most adverse for tourism, as it hampers the activity," he said, adding that the wording of 60 TER is ambiguous and leaves room for discretion. The businessman said there was no scientific evidence to support the emergence of the article that protects mangroves, although worldwide there is ample scientific studies realize its importance and its environmental, economic, social and security for coastal dwellers, asked not to misunderstand the request to make changes to the controversial articles. "That is not going to cause problems," he said. Taking the floor, the chairman of the Tourism Commission of the Chamber of Deputies, Rodolfo Dorador, read the request from various business organizations, which asked the Legislature to do an "passionate analysis." The senator, Felix Gonzalez Canto, spoke in favor of the promotion of change and stressed that "in no way seeks to remove protection from the mangroves" or "harm the environment", but mainly to "improve" the corresponding legal framework. Gonzalez Canto, governor of Quintana Roo, led a group of governors in issuing a nationwide call for change in the law back in in February 2007 to ask the then President, Felipe Calderon, to veto the adoption of reforms that led to 60TER; however, the same day the article came into force and was published in the Official Journal of the Federation. Disease, looming countervailing duties, the rise of Ecuador -- what will it mean for prices in 2013 and beyond? 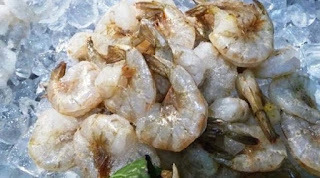 Thailand makes up $1.2 billion (€901 million) of the $4.5 billion (€3.4 billion) in shrimp the United States imports, according to data from the National Marine Fisheries Service (NMFS), so any hits the industry takes directly affects the US market. In the past year, the industry has been hit by disease, possible countervailing duties and the rise of Ecuadorian production, so 2013 is sure to be a tough one for shrimp prices in the United States, Jim Gulkin, managing director at Siam Canadian, told IntraFish. He predicts Thai shrimp production will be down 40 to 50 percent during the first half of 2013. If the country has a good recovery -- and he stressed that's a big if -- and makes up some ground in the last six months, the whole year will still be down 25 to 35 percent in production. Although the United States is increasingly turning to Ecuador, a source familiar with both the US and Asian shrimp industries, one source told IntraFish other Asian countries are also picking up some of the slack. "The good thing is that there are some other countries in Asia that are picking up, such as India and Indonesia,” the source said. Thailand is that it won't be affected much even if they are put in place. "There isn't much in the way of subsidies or aid ... in the Thai seafood industry," he said. "The government is pretty much hands-off. They let business run business and they don't offer much in the way of financial support." China does have more governmental support, Gulkin said, but there are only two Chinese processors in any position to ship shrimp to the United States. "All the other processors' anti-dumping duties are so high that they're simply blocked from shipping to the United States," he said. "In general, the industry in China [also] won't be severely affected [by CVDs]." As for the other Asian shrimp-producing nations, he said, there isn't much known about how it would affect Indonesia and Vietnam, but he does think India gets subsidies and, therefore, will be hit if duties are imposed. What does all this mean for prices in the United States? In short -- they will be high, at least until the end of 2013. The source in the shrimp sector said if CVDs are put into place, they "will create more of a confusion in the market," for two to three months, because producers and exporters will not have built the cost into their pricing. The source believes this will have a negative impact on prices and they will rise 3 to 5 percent in the summer, but "after that, by the holiday season, prices will start normalizing." Gulkin isn't sure prices will be normal anytime this year. He said certainly, Thai shrimp prices will be higher, as will those of Vietnam and Indonesia, both of which are also having disease issues. He called India "a wild card. We don't know how they're going to do but if they end up with a high countervailing duty, prices will be very high." "Prices are going to be much higher than they have for the past three or four years," he said. "But historically, these prices aren't even that high; 10 to 12 years ago, prices were much higher. People are getting a little bit spoiled by these cheap, cheap prices." As for Ecuador moving in on Thailand's turf, Gulkin isn't too worried. "The shrimp industry tends to be cyclical," he said. "Thailand has a long history of being a very reliable producer, both quality-wise and in terms of shipping, therefore a lot of major retailers and foodservice users kind of feel more comfortable working with Thailand than other countries." He said at its finest, Thailand produces 600 to 700 metric tons of shrimp per year and has the advantage of being able to produce hundreds of containers of a single size shrimp, something other countries cannot mimic. "I don't think [the rise of Ecuador] will be permanent," he concluded. "When it comes back, Thailand will be back in the game. It's about being able to produce the right product at the right price."